In ancient Asian philosophy, energy (or chi or ki or prana) flows along pathways in the body called meridians. The practitioner unblocks excessive energy and balances it in depleted areas, moving about the receiver's body applying pressure to, as well as stretching the meridians. 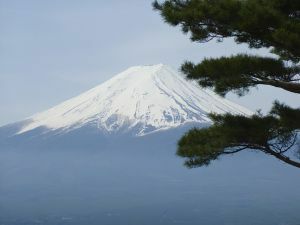 To learn more about shiatsu, click here SHIATSU , and also go to http://www.ohashiatsu.org . CranioSacral Therapy (CST) uses gentle, hands-on evaluation and procedure to enhance a physiological body system called the craniosacral system, made up of the membranes and cerebrospinal fluid that surround and protect the brain and spinal cord. Using a soft touch, the practitioner releases restrictions to improve the functioning of the central nervous system. CST was pioneered and developed by osteopath physician John E. Upledger. For more detailed information, go to http://www.upledger.com . Reiki is a Japanese healing technique that also promotes stress reduction and relaxation. Reiki uses a "laying on of hands" and similar techniques have been practiced in various cultures for thousands of years. ​It was discovered by Dr. Mikao Usui in the early 1900's. Go to http://www.reiki.org for more information. Sessions are 45 minutes, 60 minutes or 90 minutes. or Paypal (please send to sooyongkim@hotmail.com) are accepted. If you have a flex care account, be sure to ask for an invoice so you can pay with pre-tax dollars.